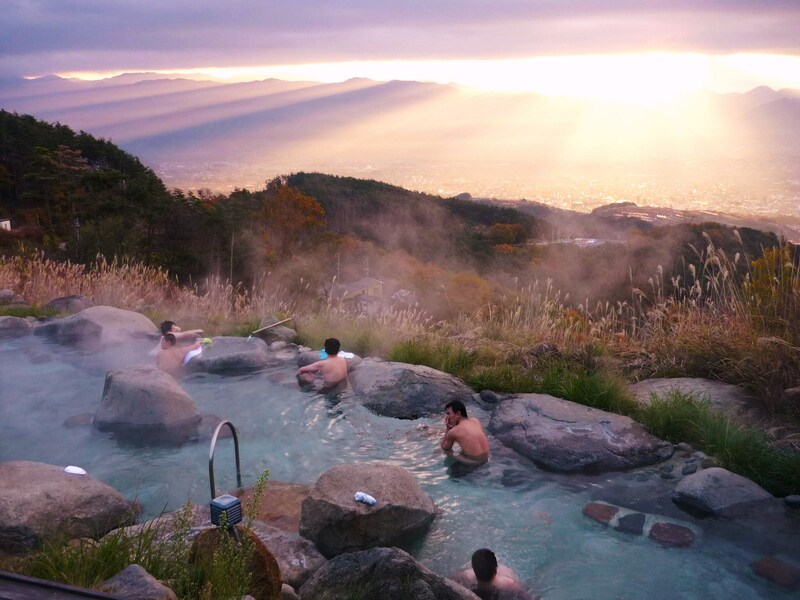 “Hottarakashi Onsen” (Neglecting Hot Spring) located on a small mountain in Yamanashi City, Yamanashi Prefecture. 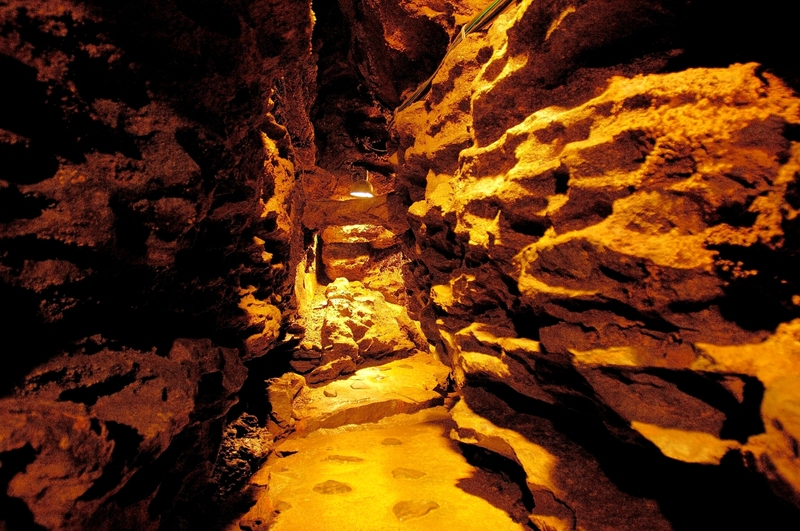 Onsen is divided into two areas: “Acchi-no-Yu” (That Place) and “Kocchi-no-Yu” (This Place). Because there is nothing to block the sight from either landscape or scenery, you can see the natural scenery every season including Mt. Fuji. At “Acchi-no-Yu” which is open from early morning, it is also one of the charms that you can see the sunrise. The charm of “Acchi-no-Yu” is in its superb view. From there you can see Mt. Fuji on the right side, Mt. Daibosatsurei at altitude 2,057 meters on the left side, and dynamic view with Kofu basin under the eye. You will feel as if you were feeling open-minded like being united with nature. 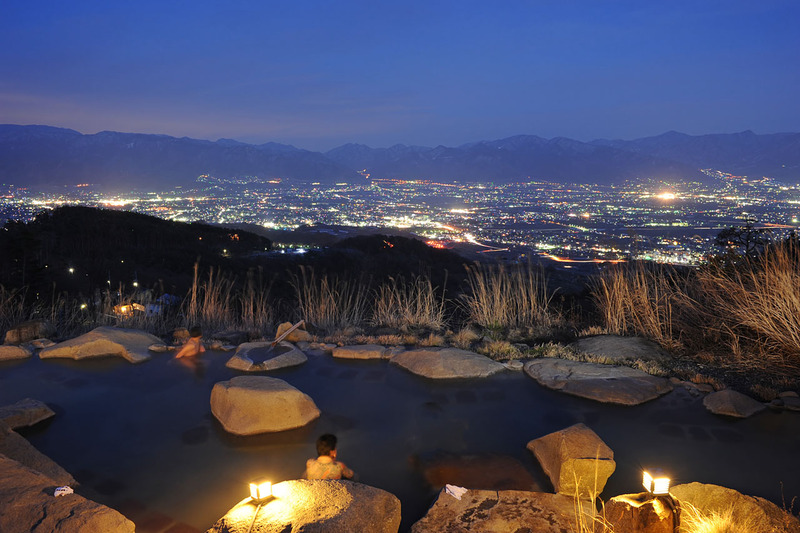 The catch copy of this hot spring is wonderful as “night sky is the ceiling” and you can enjoy the light of the city and the scenery of night sky at the same time. 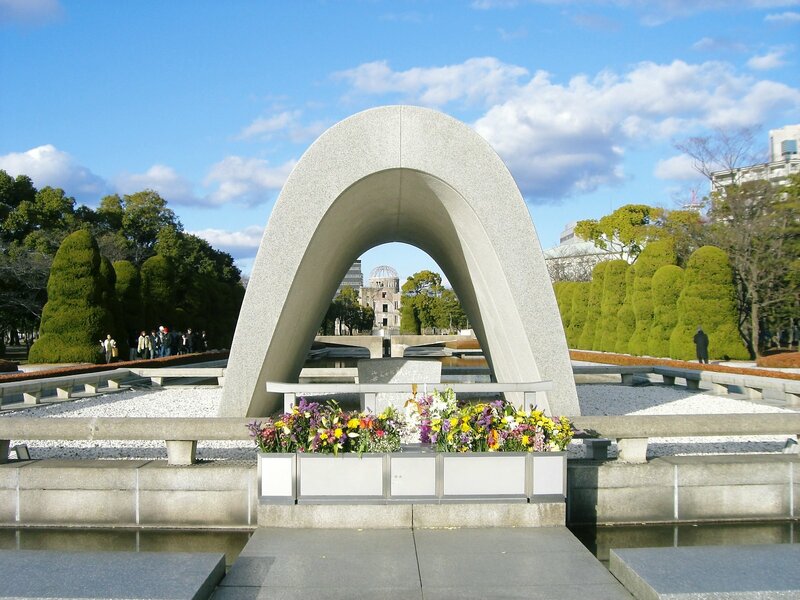 Also, since it is open from 1 hour before sunrise, there are many people who will see the rising sun. 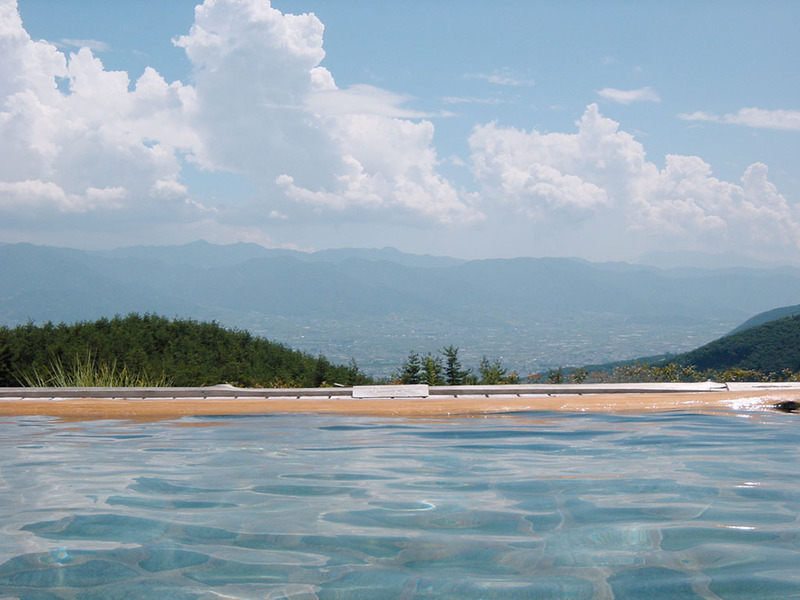 It is a very luxurious moment to see the scenery that the sky gets brighter and the sun comes out from the mountain while catching up with the outdoor bath. 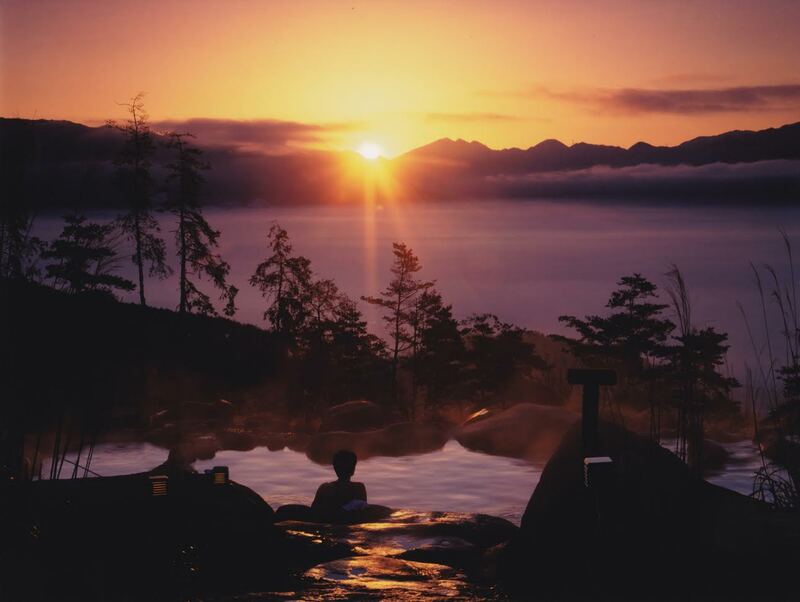 The fountain quality of “Hottarakashi Onsen” is a new source called “Golden Hot Spring Source”. Since it is an alkaline simple hot spring of pH 10.1, it is less irritating to the skin than a general hot spring, and it is characterized by easy entry by anyone. Also, the alkaline hot spring is one of the features that is soft and slippery with lukewarm. Because you can expect an effect that removes the old keratin, it may get even closer to your skin just by soaking back on hot water. If you are aiming for beautiful skin, please come. “Hottarakashi Onsen” is a hot spring in Yatsubo, Yamanashi-shi, Yamanashi. There are opinions of having been named this place referred to as being able to enjoy oneself freely even if there was neither advertisement nor service, and also an opinion that the landowner of the mountain which struck the hot spring having neglected. 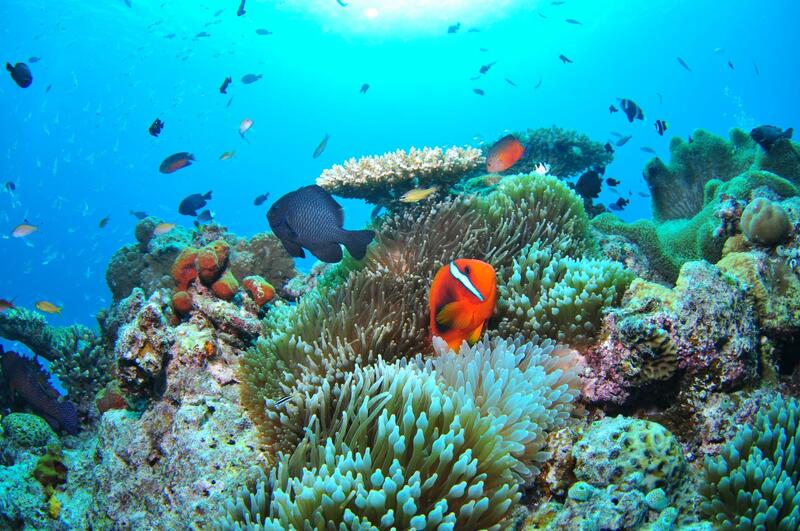 Because it is on the heap of basins, the best charm is magnificent scenery. Since here is open from early morning, there are some people to come to to enjoy the sunrise. All the eyes are superb views, so you can taste a sense united with nature. Whenever you go there, it is the best even if at a sunset, a night view, any time in morning glow. If the weather is clear, you can see Mount Fuji. The hot spring has “that place” and “this place”. Both are the open-air baths that can overlook the superb view. They are the same alkalinity simple spring, it is keep warm after the bath, and skin becomes soft and smooth, so even one having weak skin and a child can take the bath at ease. The one that wants to soak rather hot water, please go “that place”, the one that wants to soak slowly in tepid bath, please enter “this place”. It is also the feature that it seems that the color of hot water changed according to time or a surrounding scene. Since spring quality is high ph alkalinity, skin also becomes soft and smooth, too. 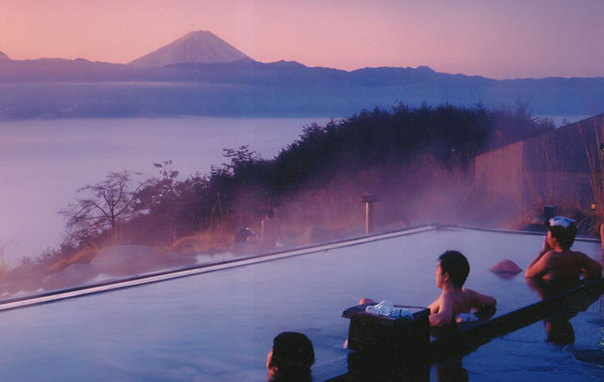 It is the hot spring which can look at Mount Fuji, and seen to the star-filled sky, “Hottarakashi Onsen” may be said that it is the best superb view outdoor bath in Japan.